Hello Foxy Friend! I hope you had a good weekend. I'm on my way back from vacation, so I have one more guest post for you! 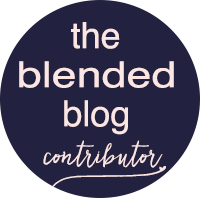 I'll be back tomorrow with a blog hop with my fellow Blended Blog ladies to showcase our favorite kitchen tools! 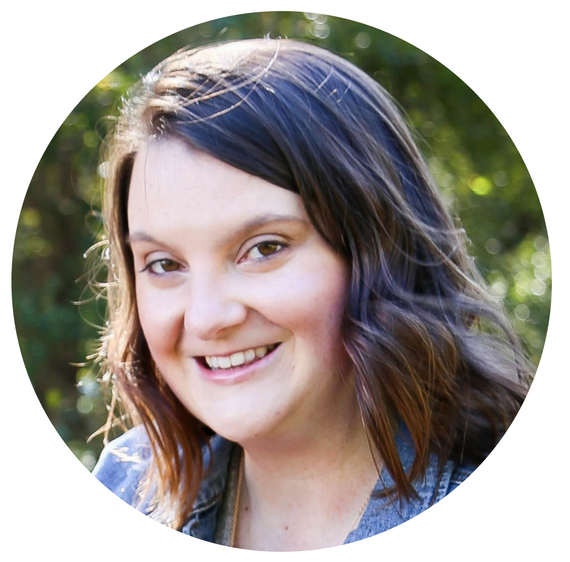 Today I have another wonderful Mama, Andrea, from Messy Nest Mama, talking about getting your baby to sleep through the night. Funny enough, I have been meaning to write this post too, but every single thing she wrote here is exactly what I would have written too! So now I don't have to write it, okay take it away Andrea! The idea of your baby sleeping through the night may make you laugh out loud, but it is possible, I promise! I felt the same way a few months ago. I thought I would never sleep more than a few hours again in my life. Out of desperation I began reading up on baby sleep and found some things that really worked for us. 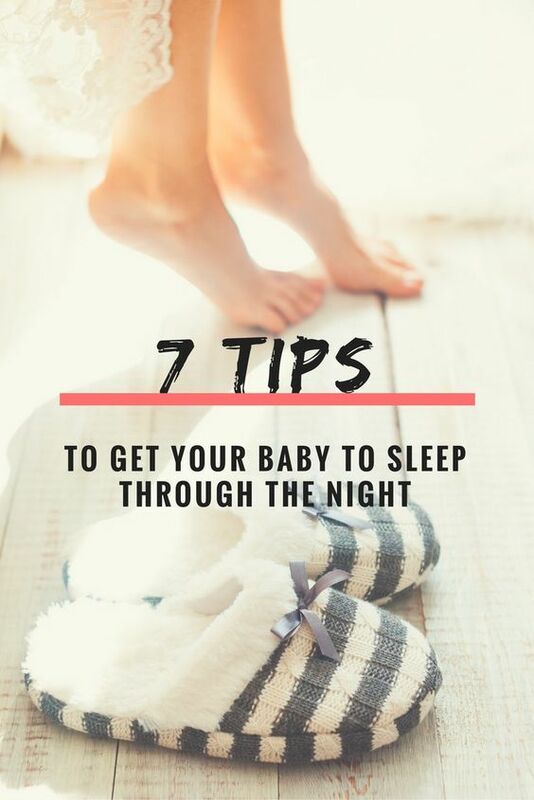 These are my seven tips to get your baby to sleep through the night. They worked for this zombie mama and I hope that they work for you too! First I want to offer a disclaimer: my baby is not a perfect sleeper. Levi sleeps through the night most nights (8pm-6:30am) and some nights he wakes at 5am. Every now & then we have a really rough night & he's up at 1am and 5am. No baby sleep plan is foolproof. Babies go through many growth spurts and developmental leaps & as mamas we try to help them through as best as we can and that is where these tips come in! I will include affiliate links to the items that we use and love- be sure to check those out! 1.Follow a routine- Plan your day around the EASY plan. By feeding baby first you ensure that he has plenty of energy to get in a good, full meal. This is very important as you will see in tip 2. To learn more about baby routines I read On Becoming Baby Wise and found it very helpful. Do not associate Babywise with cry it out- the author discusses letting baby fuss for a very small section of the book. The books main focus is getting to know your baby and creating a great routine for baby. This book has been a huge help for me! There is also a great Facebook group called Babywise Mamas that may be a good resource for you! 2. Be sure baby is getting full feeds- It is very important that baby takes full meals during each EASY cycle and does not just snack. You should start encouraging full meals from birth. You can do this by making sure baby does not fall asleep while eating by tickling his feet and back, removing his clothes, or simply taking a quick break from eating to refocus on the task at hand. Keep that little cutie awake and alert! 3. Pay close attention to wake times- Each baby has an amount of time that they can handle being awake before they become overly tired. Suggested Wake Times Birth- 6 weeks- 45 minutes to 1 hour 6 weeks- 3 months- 1 hour to 1.5 hours 3-6 months- about 2 hours 6-9 months- 2.5 to 3 hours 9-12 months- about 3 hours This time includes the feeding. So if it takes your newborn baby 45 minutes to nurse (Levi was a slow nurser) then they may be ready for a nap right after eating, especially during the first few weeks. As soon as you see a sleepy cue it is time for a nap ASAP! Then the YOU part (aka Mama time) starts! Be sure to use at least one cycle (or two!) to relax and enjoy the quiet. The cleaning can wait! 4. Use a white noise machine This can be a fan, air purifier, radio on static, or a white noise machine. Babies are used to the noisy sounds of the womb and will find white noise comforting. It will also help drown out the sounds of the house and other family members. We love the Nuk air purifier- puts out the perfect amount of noise and helps keep the pet dander of our golden retriever mix down! Find the air purifier by clicking here. 5. Swaddle I am a big fan of the swaddle for babies under three months old. There is not a lot of room in the womb! Babies are used to being in a tight space in their mamas bellies and find comfort in being held tight. From birth, swaddle your baby for night time sleep and naps. We used the Halo Swaddle Sleep Sack and loved it. It has a two way zipper so that you do not have to remove the swaddle during middle of the night diaper changes- this is key! Find the Halo Swaddle Sleep Sack by clicking here. 6. Bedtime routine Establish a bedtime routine that you can follow every night. Be sure to separate feeding from bed by at least twenty minutes. Our nightly routine consists of bath, nursing, book, prayers and then bed. My husband & I really enjoy our bedtime routine. Both of us really love spending this quality time together as a family reading books and praying. My favorite book for little ones is On The Night You Were Born. I still cry when I read it to Levi- it is just the sweetest book! Find a routine that works for your family & that you can stick to every night. 7.Establish day & night During the day be sure that you keep the house bright and open the curtains. Get out of the house for a walk or sit on the porch to catch some sunshine rays! At night keep the lights low, close the curtains and keep things quiet. This will help regulate your baby's internal clock. Andrea Kelly quit her day job to become a stay at home mom. She started blogging to warn new moms that motherhood is the scariest hood you will ever go through. 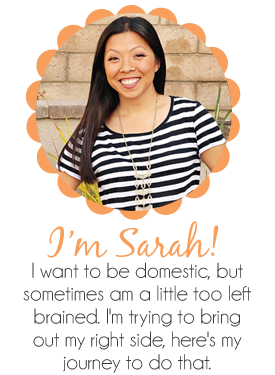 Check out her tips & survival guides at www.messynestmama.com. Don't forget today is the last day of the giveaway! Last chance to win $150!!! What are you waiting for hop on it and get to entering!